please call our Golf & Lifestyle Retail store at 949.248.3002 x5. 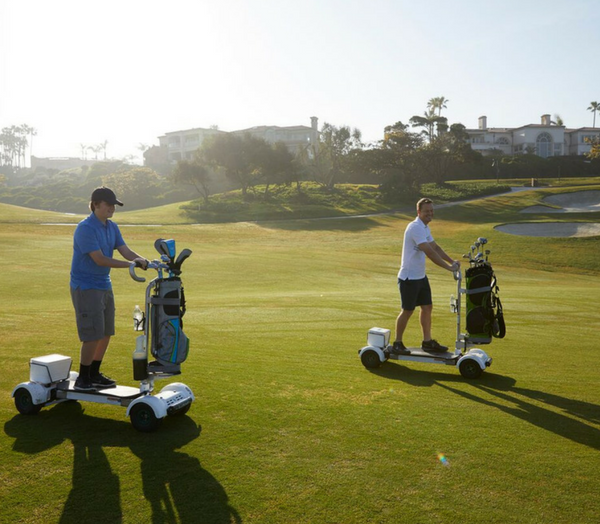 The newest and coolest way to play a round of golf. Cruise the turf in style with the 100% Electric Phat Scooter. If you want to combine the excitement of surfing with the challenge of golfing, then the Golf Board was invented for you. Golfers of all ages can now "Surf the Earth" from shot-to-shot in a way that feels like snowboarding or surfing. We call it "Golf Boarding." Click here to register to surf at the Beach during your next round! 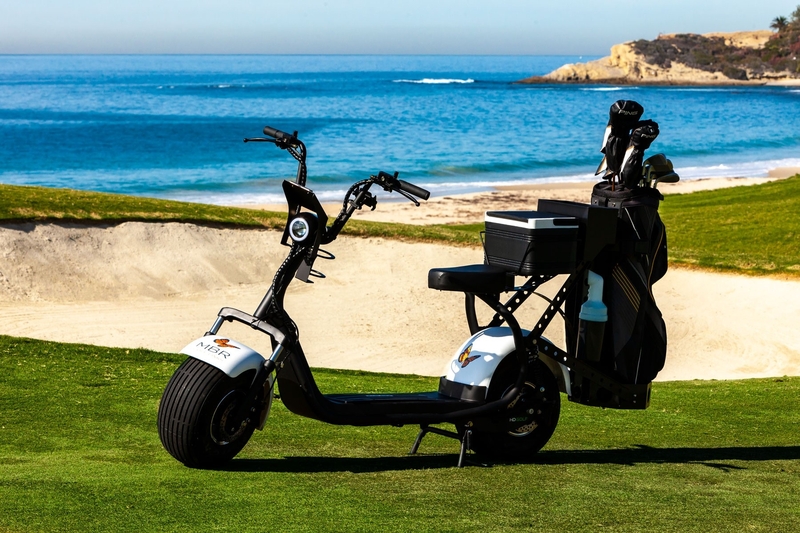 Enjoy an unforgettable experience of cruising the links on the coolest new way to ride. Cruise the turf with a Team Member. You'll get the inside scoop on the Links. From the names of the surf breaks to the best photo spots. 1-hour experience • $75 adult • *$50 youth Grab a map & you're on your way! Have a blast surfing the undulations of our course. Be sure to take some selfies & tag us! Pick from either a tour then a lesson or a 5 hole playing lesson! To book or to check for availability please contact the golf shop at 949-248-3002. Tours above can only be guaranteed if booked 24 hours in advance. *ages 16 or older to participate. Must be accompanied by an adult. Monarch Beach Golf Links is proud to offer an exemplary Caddie Program called our “Waterman Caddies". Think of our Waterman Caddie program as your personal Golf Concierge and Surf Buddy!!! You can enjoy the expertise and assistance of a professional caddie or forecaddie as you play Robert Trent Jones' golf course. Each Waterman has received intensive training, learning the nuances of our beautifully crafted oceanfront course along with all things Salt Creek Beach and Monarch Bay. We're confident you'll discover that we have one of the finest and most unique Caddie Programs in the world. Finally if you need some assistance in arranging a Stand Up Paddle Board (SUP) lesson, surf excursion, or if you are just interested in the current ocean water temperature, swell direction or current points leader of the World Surf League, our Watermen are at your service. *Gratuity Not Included. Suggested Gratuity is $25 and up per player/bag. We are certain you'll appreciate the advantages our professional Waterman Caddies provide. They'll help improve your game and give you the freedom to play at your pace. 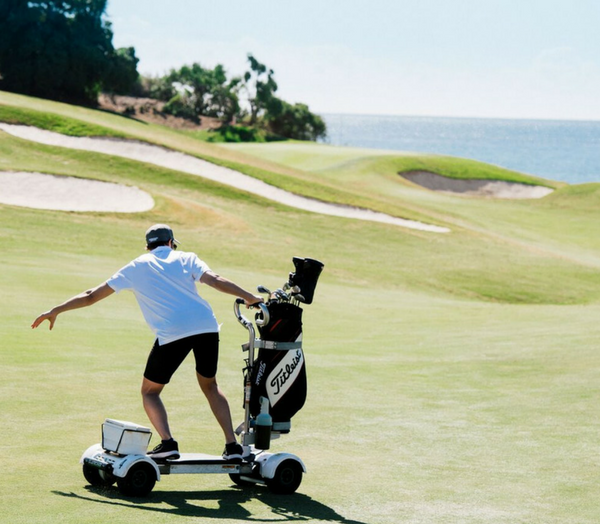 You can even walk the course, if you desire, to take in the beautiful surroundings, unburdened by your golf bag and unrestricted by your golf car. 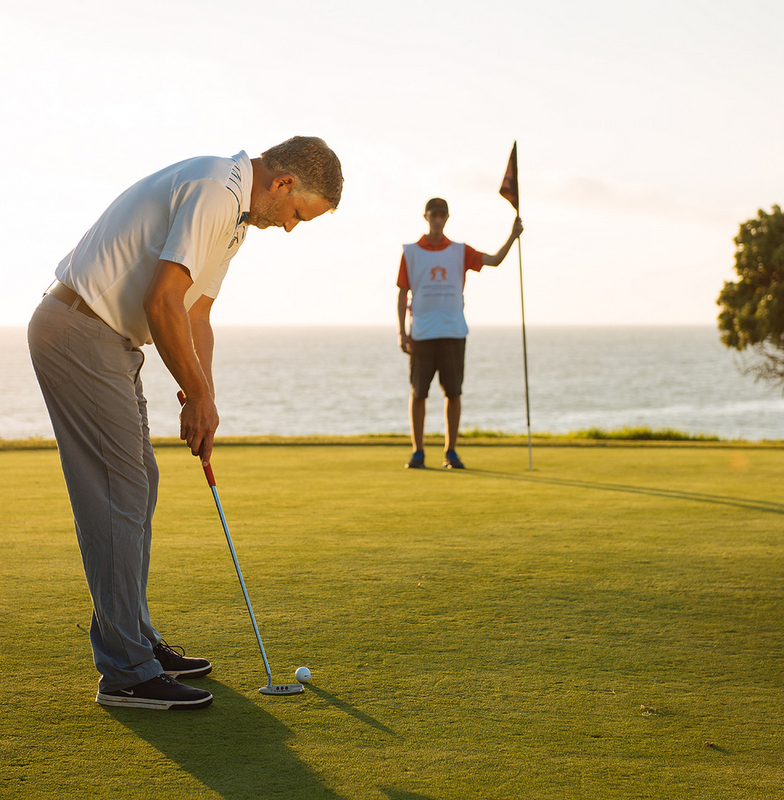 Like all of the amenities at the Monarch Beach Golf Links Golf Club, the Waterman Caddies is designed to create a memorable and inspirational golf experience. To reserve your Waterman Caddie or Forecaddie please call our Golf & Lifestyle Retail store at 949.248.3002.